The process of interviewing and hiring the perfect Nanny is potentially very challenging and overwhelming. I can so relate to this after hiring Nannies for my three children over a 16 year period. It was always so daunting and depressing when a nanny would tell me she had to move on to her next career challenge! What I learned is that there are many wonderful women (and men) with a passion for children looking for work as nannies. The key is to find the perfect nanny for your family and home. 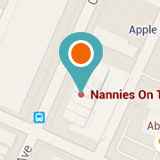 I found my Nanny needs also changed over the years as the kids grew older. When looking for a potential nanny, it is very helpful to consider several factors before you brief the placement agencies or prepare to source potential candidates. I promise it will make your search much more efficient. Ask yourself the following questions, many of which are not entirely politically correct, however one needs to be honest with oneself when looking for someone to care for your baby, be in your home and share your space. It makes it much easier for the agencies to select suitable candidates if they have all the information. • Do I have a preferred age group that I would like to have working for me? • Would I prefer a person of specific religious or cultural background? • Do I mind if the person is loud and energetic or would I prefer a quieter person? • Do I want the nanny to live in or live out? • Would I be comfortable with a man caring for my children? • Is it essential that the candidate has training, or am I willing to train them myself? • What is my budget including the Nanny salary and the placement fee. • How will we approach taxes? • How long to I expect the Nanny to commit to the family? Answering each of these questions honestly will help make your first impression a good one, allowing you to focus on the interview. When the time comes to interview the candidates, there are many questions that need to be answered, and generally the conversation will flow. We have included some questions that we find very helpful. They are open-ended and allow the Nanny to elaborate on her past experiences. There is no need to go through them all, however you may find some will get you the information you need. Remember that an interview is stressful and even more so for someone who does not speak your language as a home language, so be patient, be kind and make the person feel safe to answer the questions to the best of their ability, The most important thing is to listen carefully to what she says and watch what she does, how she interacts with your child. Be attuned to your own emotional responses, as well. Are you comfortable? A parent’s “Instinct” is an extremely valuable tool. Trust it. Will she fit in with your family? When we are screening candidates in the office, for example, our team knows not to dominate the conversation. Let the candidates speak freely and often in a safe environment and you will learn much more than you anticipated. Your objective is to give her a sense of the job, but more than anything, get to know her and whether she’ll fit in with your family. If you can conduct an interview with the children around, we strongly recommend you include them in the process. It is a great way to see how the candidate interacts with your child and how your child interacts with her/him. • What appeals to you about taking care of children in their own home (vs. a day care center or your home)? • How long have you been a Nanny? • Describe your last childcare experience and why it ended. • What was your worst experience in childcare and how did you resolve it? • How were you disciplined as a child? What would you do differently with your own children? • What do you find to be the most challenging (or interesting) part of working with children? • Have you ever had to handle an emergency? If so, what happened and what action did you take? • What activities would you engage in with a child this age? • How have you communicated information about the child’s day to day activities to your employers in the past? • What do you like to do in your free time? • How do you think your closest friends would describe you and your personality? There is no such thing as a perfect Nanny of course, but doing your research and working with a reputable placement service before the interview can help you make the best decision and save you so much cherished time!